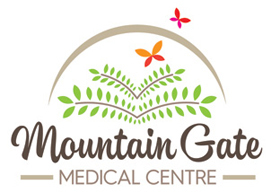 At Mountain Gate Medical Centre, we provide professional, safe and effective ear wax removal using a gentle micro-suction technology, without the discomfort sometimes associated with syringing the ears with water. If you have the symptoms like a temporary hearing loss, tinnitus, earache, a feeling of pressure in the ears or itchiness, your ear canal may be blocked with wax. Book your ear suction appointment with our doctor (call us on 03 9753 5677 or make online booking) and get your ear canal cleared as soon as possible.